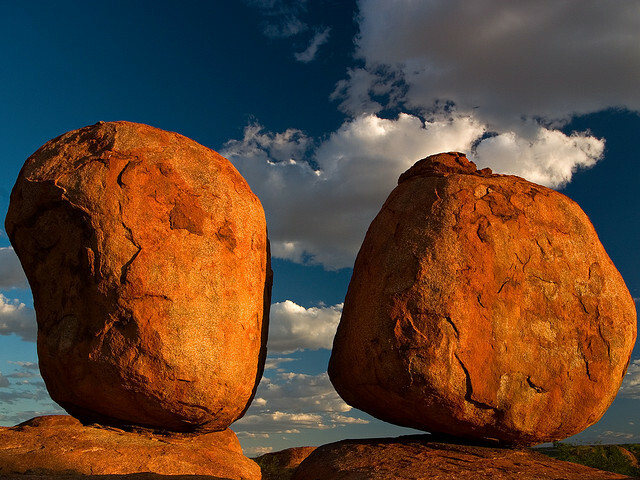 Granite rock is very common. 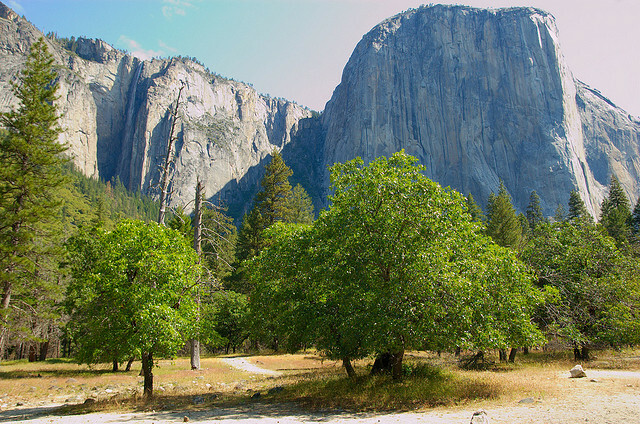 It is the most common intrusive rock on the Earth. It is an intrusive igneous rock, which means it is formed under the Earth's surface, in plutons and other igneous intrusions, when magma cools. Because magma cools relatively slowly there, granite is not the finest grained, its grains are medium size. It has an interlocking texture, i. e. its grains are intelocked like in a puzzle. It is always closely associated with mountain building and it is often seen in large batholiths, which have been uplifted and uncovered by erosion. 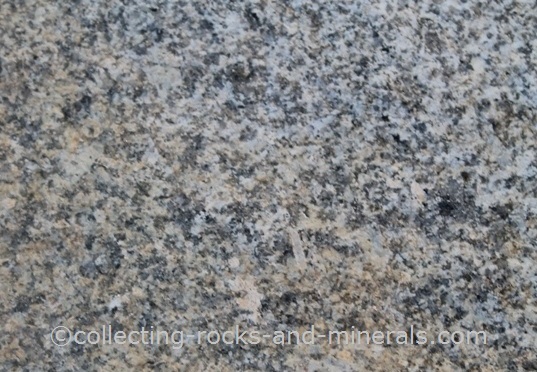 We see granite everywhere, and its texture is so typical it seems really easy to identify. 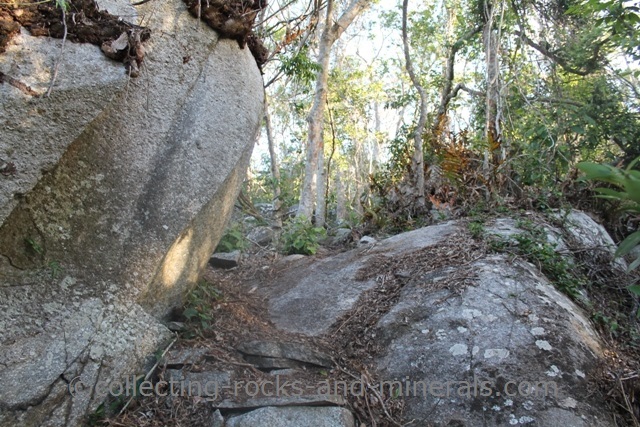 But when we talk about granite, we mean what geologists actually call granitoids - a group of granite-related rocks. The actual granite needs laboratory methods to be idenitified. The different types of granite include, but are not limited to white, pink, graphic, porphyritic, hornblende, orbicular and rapakivi granite, porphyritic, white and pink microgranite, tonalite, granodiorite and more. It is a felsic rock, which contains about 70% silica. 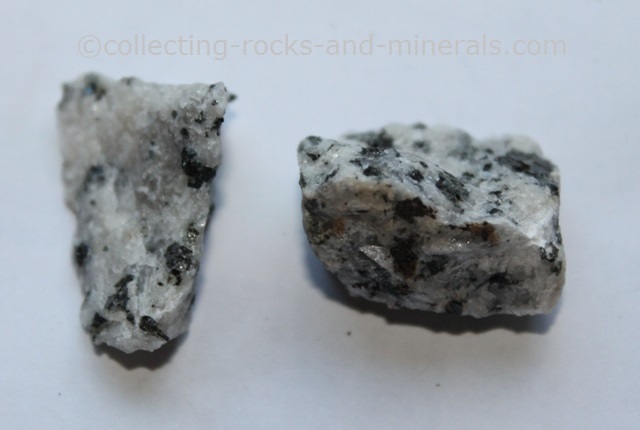 Granite's main minerals are quartz, feldspar and mica, however with so many different variations, the whole mineral composition of course varies. 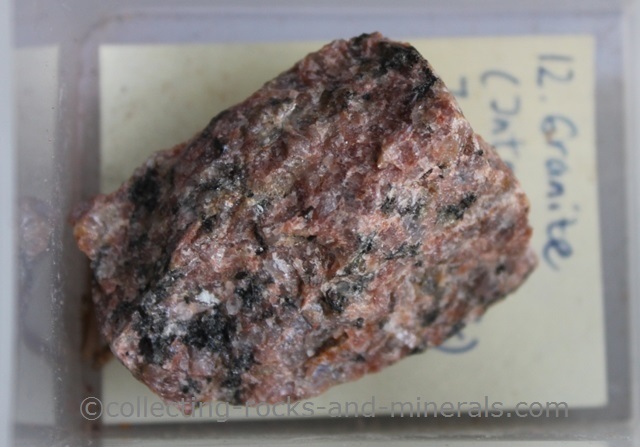 If the magma with the same composition forms an extrusive igneous rock, it will be rhyolite. Granite is widely used in buildings, kitchen countertops and tombstones. 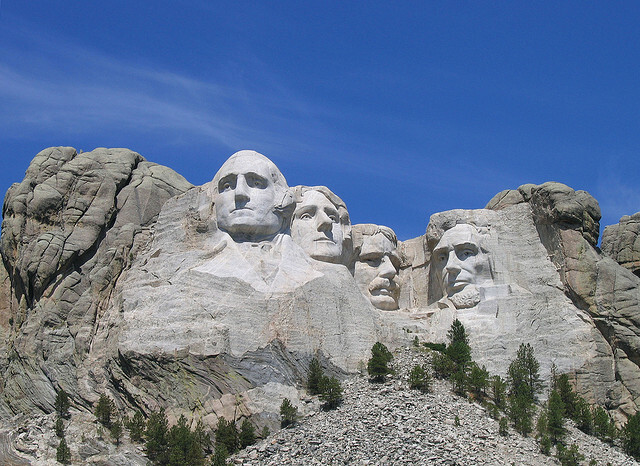 Some of the famous occurences are Devils Marbles in Australia, and El Capitan in Yosemity and Mount Rushmore in the northern US.